XOXOXO was an early 2000s, Phoenix band that almost made it big during the Myspace era. They were fronted by an incredibly talented girl named Rachel Taylor, who tragically passed away about 10 years ago. I knew a girl that performed in a play Rachel wrote titled Sorbet and Other Stuff.The band was somewhat ahead of their time in that they were a polished, synth oriented and fashion conscious indie band at a time when most local indie rock was centered around guitars and Pabst Blue Ribbon. I always admired XOXOXO for aiming for something big. The band released one cd, which is pretty damn hard to find. XOXOXO even had a smear piece written about them in the Phoenix New Times, which is just further proof that they were awesome. XOXOXO disappeared for a while and reemerged with a new name, The Kohl Heart. I seem to recall that they lived in Oakland for a while as well. The members seemed to have a tendency to reinvent themselves just as they were beginning to achieve success. They are mostly forgotten …but not by me. Rachel Taylor RIP. You wouldn’t know from their music that The Blankz (a Phoenix based band) formed as recently as 2017. Their new EP/single, White Baby, is so tightly put together musically that if I had been too lazy to read the group’s bio, I would just have assumed they must have been playing together for at least a decade. Their music falls somewhere within the realm of “weirdo pop punk.” It has a very 90′s vibe to it, not in a gimmicky kind of way, it’s just that you’d almost have to go back that far to find this style of music being put out at this level of quality. In a deeper sense though, White Baby brings people back to a more innocent era, the pre-9/11 days before confrontational politics and war dominated the discussion in our everyday lives. I’m talking about those 105 degree summer nights spent skateboarding and loitering at suburban Phoenix strip malls (yes I’m from here as well,) when our most heated arguments were over bands and girls. Our tense confrontations were mostly reserved for our interactions with the security guards about to kick us out of the same spot for the millionth time. 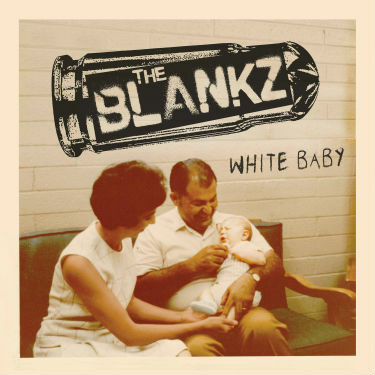 White Baby features solid playing, quirky lyrics, and perhaps most importantly…substance. Yes, wrapped up in White Baby’s musical bundle of joy is a theme about the songwriter’s identity. Tommy Blank is white but was apparently adopted into a Mexican family. The song subtly relates his struggles with identity growing up within this unconventional familial arrangement. It is all presented in an upbeat, fun and energetic musical context. The lyrics are extremely catchy, and if you listen to this song even once, the chorus will stick with you. 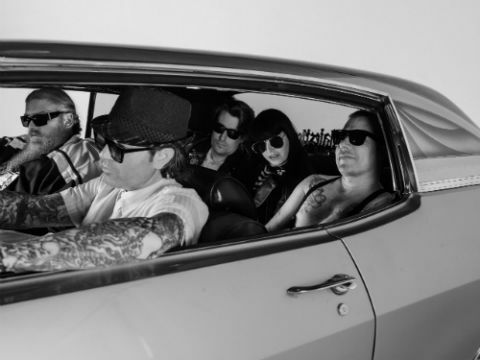 The video for White Baby takes on a kind of desert rockabilly aesthetic, interspersing vintage home movie footage with present day shots of the band around town. There is a second jam on this release as well. The song Sissy Glue boasts some killer synth, the vibrato of which resonates throughout the song. The tone is reminiscent of action oriented battle music in old school games like Double Dragon. Sissy Glue contains lyrics concerned with huffing, but really the track is about so much more. It’s sort of a coming of age story told in a very creative way. The synth on this EP is notable because it is what separates the band’s sound it from so many other bands in this genre. White Baby/Sissy Glue is quite simply, badass. Living in Phoenix, this is easily one of the coolest current bands in the valley, and I’m kind of surprised I haven’t heard anything about them until now.